According to the 2018 Candidate Experience Survey by ICMS, 67% of American employees say that their experience during the recruitment process is a key factor in determining whether they take a job. This showcases the importance of having an ideal recruitment process that not only helps you find the best talent but also provides a positive experience to all candidates. You need to have a firm understanding of what the role is and where it fits in your organization. It may help to directly talk with the people working in similar positions to get a better understanding of what the role entails. For this, you should list all of the technical and non-technical skills, personality traits, and experience that a candidate must have to perform well in the position. It is also important to categorize these skills as essential and non-essential. Essential skills are those without which the candidate would not be able to perform the job. Non-essential or preferred skills are those that will provide an added advantage, but that are not necessary to do the job. After you have a fair understanding of what you’re looking for, it’s time to actually write a job description and post it on job sites. Remember, that a job description is what will attract talented candidates, so it is very important to write an interesting job description. Job Title – This is the designation for which you are hiring. Job Location – Place where the job will be based. Team Description – Name and description of the team within which the role lies. Key Responsibilities – The day-to-day responsibilities and tasks that the hired candidate will have to perform. Skills and Experience Required – Complete list of skills required by the candidate and number of years of relevant experience required. Company Fit – List of personal traits and characteristics required to fit well within the team and company culture. Salary and Benefits – Apart from salary, it is also important to mention monetary and non-monetary benefits that a candidate can expect. This helps increase the job attractiveness for prospective candidates. It is important to make the job description impressive to attract more candidates. But you also need to make sure that you provide accurate information because this is how candidates will assess their suitability for the job. Instinctively, you might feel that it’s better to post a job on all platforms to get maximum applicants. But it actually makes more sense to select the right platforms to filter out unnecessary applications. The key idea here is to identify the platforms where you can get candidates that are best-suited for the job. Internal Job Portal – This is ideal for companies that do not want to spend a lot on the recruitment process and would prefer finding a candidate within their organization. This is usually used to fill one-off vacancies, for which it does not make sense to run a recruitment drive. Job Sites – These are the most common platform used by both companies and candidates. These sites can provide you access to thousands of candidates who are searching for a job. However, it also makes your job difficult because you may have to go through thousands of applications to find the right candidates. Networking Sites – Professional networking sites like LinkedIn are also a commonly used platform for job postings. These are similar to job sites, but provide more targeted searches and fewer applicants, making the process easier. Company Website – Some companies also prefer to post jobs directly on their websites’ careers pages. The key benefit of this is that only the candidates who are specifically interested in your company will apply. There are numerous options for posting jobs, so decide what your hiring needs are and take your pick. In this step you, need to screen resumes based on the candidates’ skills and experience and the job responsibilities. The next step is an initial screening round to check a candidate’s profile, previous experience, and motivations for applying for this particular role. At this stage, you can filter out candidates whose career goals do not align with the job profile or who are not likely to accept an offer and have just applied as a backup option. 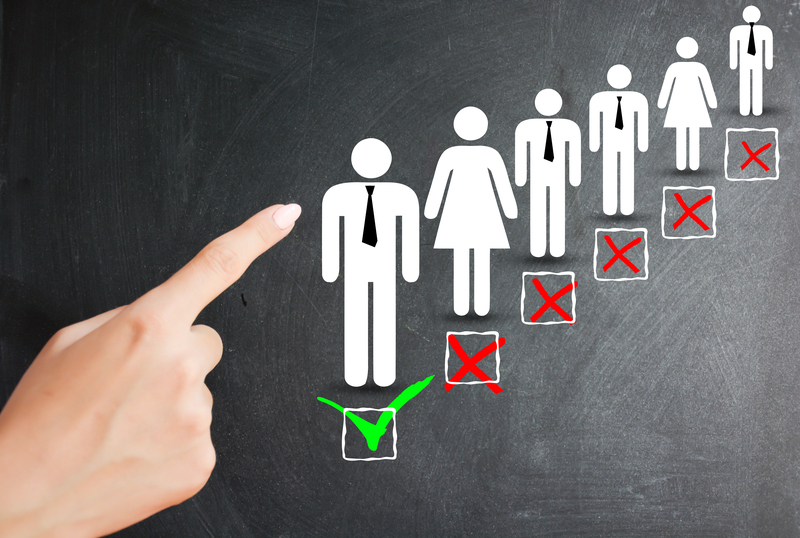 This is the main candidate assessment round of any ideal recruitment process. You can choose to have a mix of technical and behavioral interviews. However, make sure that the process is smooth and that there is an open communication channel with the candidates, otherwise, they may lose interest. Once the interviewers have selected the final candidates, you should negotiate the salary and be prompt in sending an offer. It is also important to inform the candidates who have not been selected about their status. If you do not inform these candidates, they may never apply to your company again. Contrary to popular belief, the recruitment process does not end after the candidate has accepted the offer. It ends after a candidate has successfully joined the company and has been onboarded properly. According to the previously-cited ICMS report, 26% of employees quit their jobs because they were not onboarded or trained properly. So it is important to equip hired candidates and train them properly, so they can easily integrate within the company culture and team. Use the techniques mentioned above to design and execute an ideal recruitment process and share your experiences here. If you have any other tips to improve recruitment process, please share them in the comments below.